The race went in excellent conditions, in sharp contrast to the 2013 edition. The team raced well together for the first 36 km and our leaders Emilie and Chloe were placed well in the first group over the Kemmelberg. In the descicive moment after about 90 km, there formed a group of 8 riders were we unfortunately werent present. 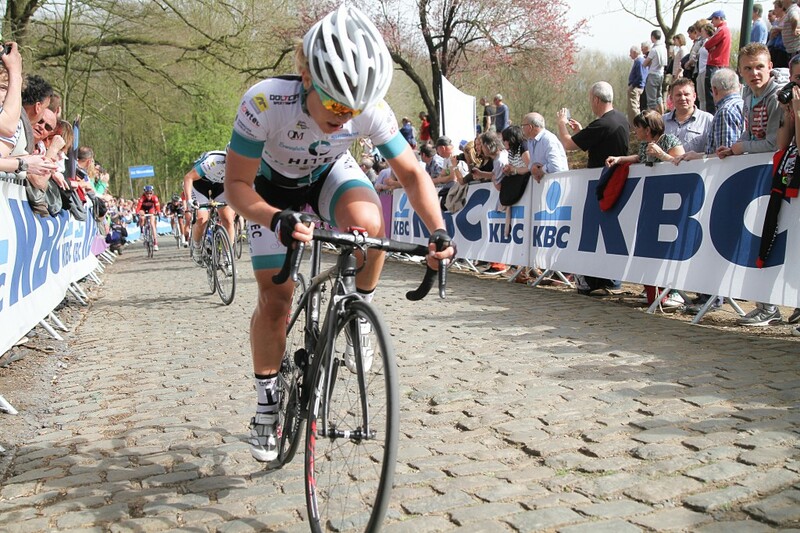 We made a sprint for Emilie in the peloton were she ended 5th and thereby 13th overall. Lauren Hall (USA) won the race.